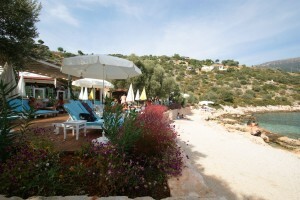 Regular boats ply to & from beautiful Limanagazi beach, with its crystal clear sea and excellent retaurants. the journey takes approximately 10 minutes and costs 15lira return(2015) Ticket may be purchased from a booth on the harbour side. There are restaurants at the beach so there is no need to take food. 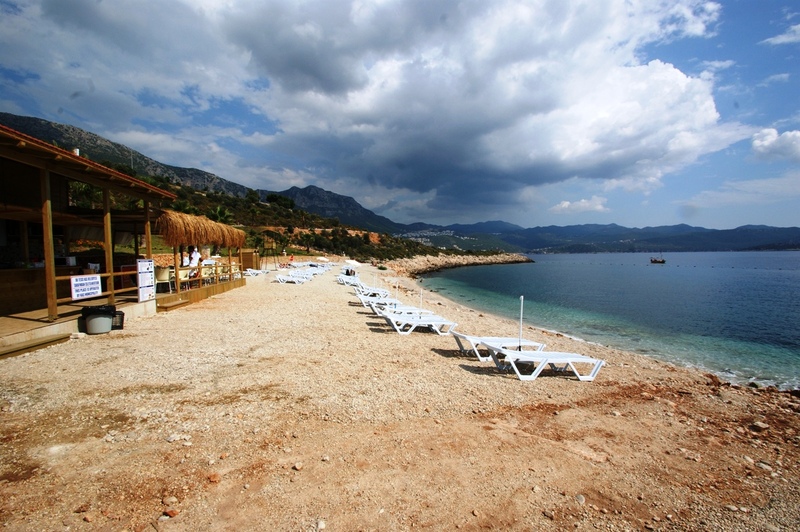 La Moda beach will charge 15 lira per head for the use of sunbeds and parasols. This charge will be deducted from any drinks or food purchased. La Moda hotel offers, great food and friendly service, and easy sea access. There is now a new beach on the peninsula(opened 2015), access down a road to a parking space. The turn off for the beach is the 1st turning on the right after the Peninsula Police station in the direction of Kas. 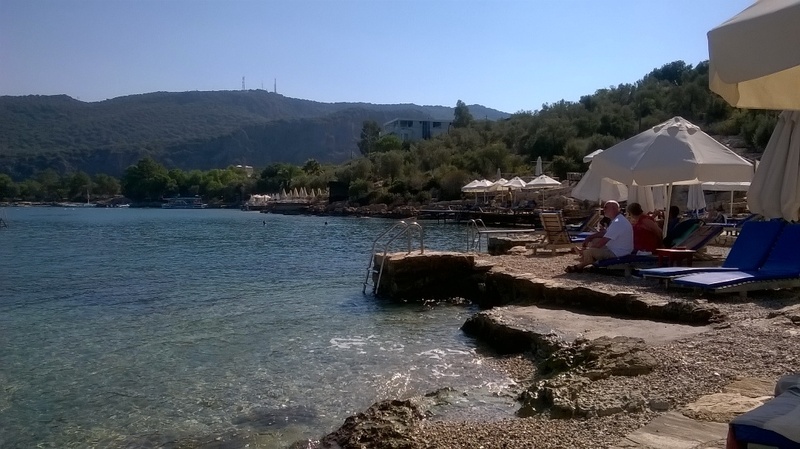 The beach has sun beds and parasols plus a bar and restaurant, you are not allowed to bring your own food and drink. There a charge of 10 lira for each sunbed and 5 lire for each parasols. 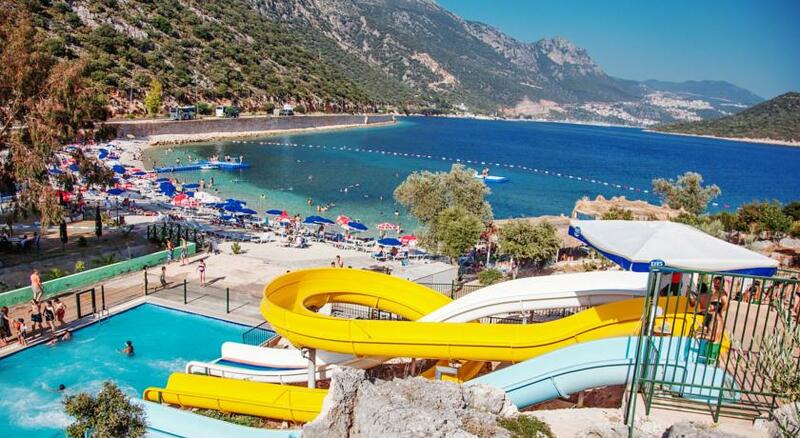 Sea access is easy, swimming shoes are recomended as the beach is shingly as is the entry into the sea. Please note charges may change. Graced with golden white sands lapped crystal clear turquoise sea is beautiful Kapitas beach. 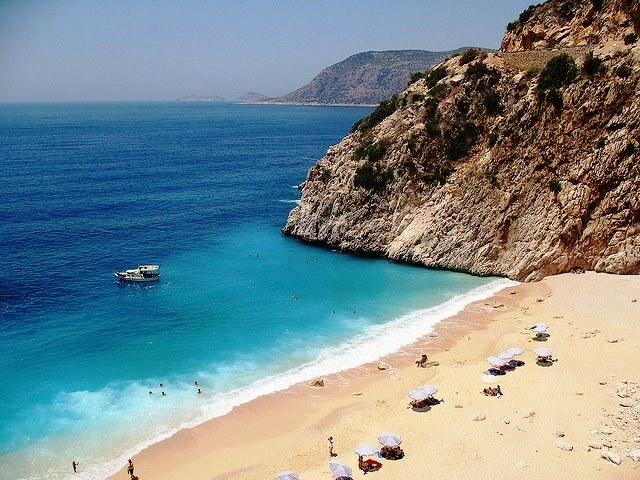 The beach is off the road between Kas and Kalkan, approximately a 20 minute drive out of Kas. The beach is beautiful , but has no restaurant facilities and has an extensive flight of steps that lead down to the beach from the road. There is a dolmus(local bus service ) that you can take to the beach.